Don’t step on my blue suede shoes, jerk! London Underground’s Brothel Creepers Blue Shoe are found on www.topman.com and these beauties would make Elvis proud. Brothel Creepers are commonly called, Creepers, and are one of my favorite style of shoes with the crepe sole and patterned stitching design. Whether you’re creeping around the town at night or just hanging with your friends, these shoes will be an awesome compliment to an outfit. 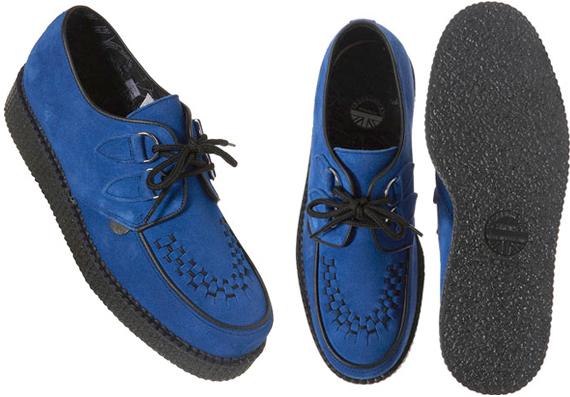 The Brothel Creepers Blue Shoe by London Underground is available online at www.topman.com.